How Long Does a Roof Last? Not Nearly As Long As You Think! A 30 – year roof will last 30 years, right? Wrong! 30 – year shingles also known as laminated, dimensional or architectural shingles typically do not last 30 years. 20, 40, or 50 – year shingle will not last their designated years either. It is a common misconception and a point of confusion for many homeowners. Thus, trying to make a responsible decision in a roofing system can become difficult. Let’s look at a few areas to inform you and answer your question – how long does a roof last? What is a 30 year shingle? Up until the 1980s the most prevalent asphalt shingle used was the strip shingle otherwise called the 3-tab or the 20 – year shingle. These are the flat shingles with, of course, 3 tabs that most people remember being the standard shingle for decades and continue to be common for an economical choice. However, shingle manufactures wanted to bring more style and function to the table. The 30-year shingle was introduced. It has more 3-D texture and color contrast than the old basic 3-tab could offer. In addition, it is also a thicker shingle than the 20 – year 3 tabs of the past, therefore, providing more protection than a 20-year shingle. Typically, a 30 – year roof will last on average 12-15 years in more extreme climates, such as we have here in Texas. 25 – year roofs lasting 9-12 years on average. But, how can this be, you say. To understand this we need to first look at how the manufactures define their shingle levels and warranties now versus how they defined them in the past. Warranties are misleading these days. More often than not, a shingle warranty will be a Limited Lifetime Warranty that protects against manufacturer defects. However, this warranty does not guarantee that the shingle will last the 20, 25 or 30 – years. This switch happened in the early 2000s when most manufacturers switched from 20 and 30-year warranties to the Limited Lifetime Warranty. At the same time, 3 tabs shingles that had been referred to as 20 – year shingles began being marketed as 25 – year shingle with no improvements to the product. This was an obvious marketing ploy, while successful for the manufactures, it is just added confusion and less actual protection for the consumer. Why do roofs not last 30 years? There are several factors that determine the lifetime of a roof. 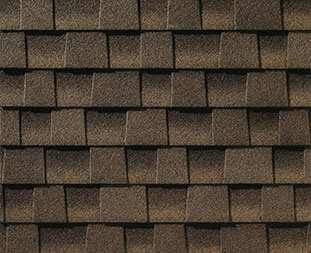 UV rays, debris, excessive temperature shifts, storm damage, and other physical hazards will all tick away at the longevity of the shingle. While all these factors affect the lifetime, no more do greater damage alone than the harmful UV rays. Asphalt is made of petroleum compounds which are heavily degraded by UV rays. The shingles top coat of granules, made of ceramic minerals, help to protect the asphalt from the UV rays. However, when these granules begin to fall off the shingle, known as granule loss, the UV damage is increased, thereby allowing for an increased rate of granule loss. Essentially, it’s this synergistic effect that causes a 30 – year roof to fail after only 12 years. And granule loss? Well, that is all affected by the debris, excessive temperature shifts and small storm damage that happens every year. While some physical hazards can’t be avoided, like small hail damage and severe winds, others can be prevented. For example, when a tree limb is allowed to grow too close to the roof it becomes a potential cause for increased granule loss. If Your 30 Year Roof Is Over 12 Years Old It’s Time For An Inspection! Baker Roofing & Construction provides a wide range of services including free roof inspections, free roof installation quotes, insurance claim consultation, and supplement writing. Contact us today for more information!